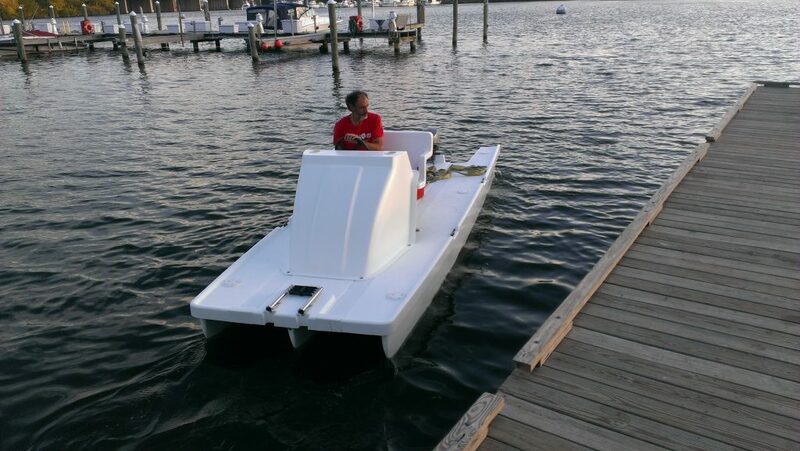 Our launches are designed to perform in low-wake and no-wake environments. 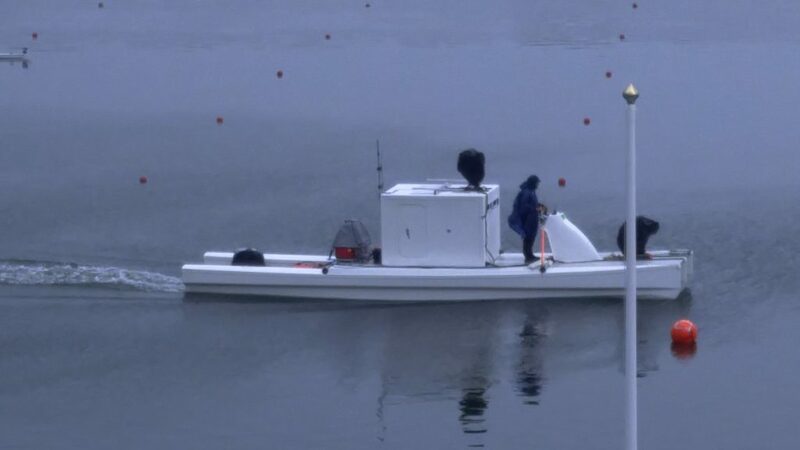 These fine (long and skinny), lightweight, multi-hulled vessels perform efficiently at speeds of 0-20 knots. This is in contrast to running a wider planing hull in displacement mode, where it leaves a large wake in its path. Efficient operation allows our boats to reach comfortably high speeds with very little horsepower and very low fuel consumption. Our vessels are well suited for coaching various watersports and cruising or patrolling protected waterways. We have chosen to build our vessels with premium materials to allow them to be lightweight yet durable. The composite materials used to create our products are extremely resistant to corrosion from the marine environment. 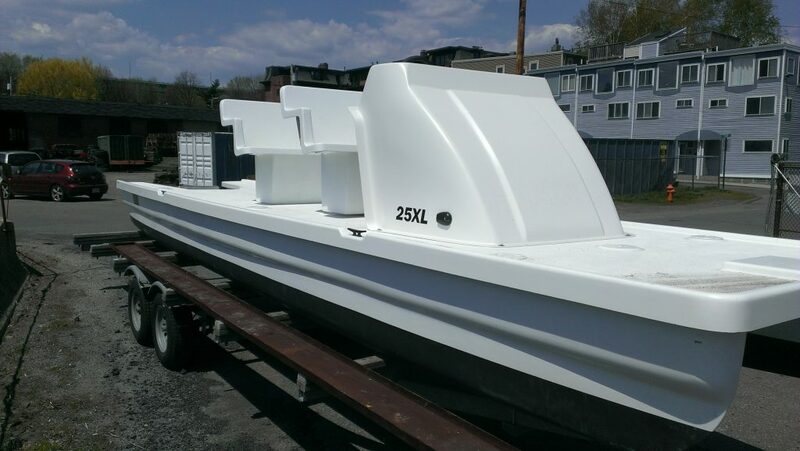 We use a siloxane epoxy paint to reduce UV light degradation – sunscreen for your boat. These choices produce a finished product that will last season after season. We have refined our construction process over the years. It starts by applying paint to the mold. Next we add the reinforcements. These are comprised of fiberglass saturated with epoxy and various core materials including; polypropylene honey-comb, polyurethane foam, and PVC foam. After that we apply a vacuum bag and give it a heat cure. If this sort of thing interests you and you want to know more call us or better yet visit our shop. All of Still Water’s boats can be broken down into smaller pieces to facilitate shipping and winter storage. We can also provide a trailer for any of our boats. Please don’t hesitate to call us at (617) 308-5820 if you have any questions – just don’t expect a high pressure sales pitch. Always feel free to email us for further details! We will do our best to answer any question you may have about our line of launches and introduce you to our team of skilled craftsman and exciting products!